You've placed your order, now what? It will be on your doorstep soon. Show off your delicious turkey dinner! We can ship to virtually any address in the continental United States. We cannot ship to international destinations because of customs restrictions on food products. When you place an order, we provide you with a flat rate for shipping overnight. While you can schedule your delivery in the future, ALL shipments leave us and are scheduled to arrive to you the next day to minimize spoilage or damages in transit. Delivery is available only on Tuesday, Wednesday and Thursdays. 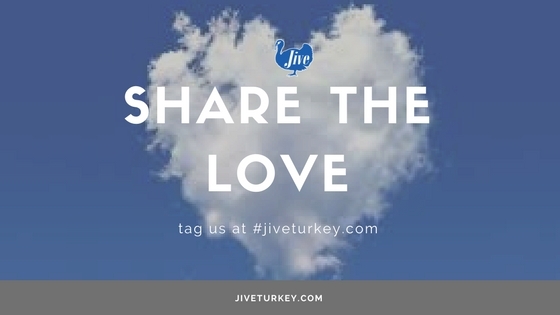 To confirm a specific date send an e-mail to orders@jiveturkey.com with your order number and desired delivery date. Turkey shipped to arrive for Thanksgiving will arrive on 11/21. Turkey values our customers and your business and we answer every suggestion, inquiry and complaint we receive - unless you specifically requested for us not to follow up with you. We do not accept returns, we do not offer refunds, all sales are final. If an item is received damaged or is incorrectly shipped by us please contact please Contact Us with your order number and details immediately you can also send an e-mail to orders@jiveturkey.com. Just in case your email is about something related to an shipment that has been lost or never received the FedX/UPS staff is available 24 hours a day and may be in a better position to answer an imminent question about your un-delivered or misdirected shipment. In the U.S., the UPS toll-free number is 800-PICK-UPS the FedX number is 1 (800) 463-3339 . All items that arrive damaged from us will qualify for reshipment. All orders that are incur a delivery failure (mis-delivered or arrive late) may be re-shipped at a later scheduled date but refunds are not available. We do not honor requests for reshipment 7 days after delivery.